The start of the Australian Open main draw is nearby, but first we will have 128 players competing in the qualifying draw, who will be battling it out for sixteen much wanted spots in that main draw. A tough draw for the top seed against the highly volatile Evans. Once a promising youngster on the verge of the top 100, Evans fell off majorly due to motivation and injury struggles, but recovered himself somewhat last year and finds himself in the top 200 again. However, he knew a poor start to the year, losing 7-5 6-4 to world #500 Dayne Kelly in the first round of the Happy Valley Challenger. Vanni did a lot better, beating #107 Jan-Lennard Struff before barely falling to #45 Aljaz Bedene in the main draw of Chennai, 5-7 6-3 6-4. Vanni desperately needs the points, as he is unlikely to defend his final in Sao Paulo of last year. Something that is rarely seen outside of India, an all Indian clash. 21-year-old Ramanathan made a big run at Chennai to start the year, which saw him rise 42 ranking spots and almost crack the top 200 for the first time at #206. He beat Daniel Gimeno-Traver and Alexander Kudryavtsev before falling to Bedene with almost the same scoreline as Vanni, 6-7(5) 6-4 6-3. Myneni is mainly strong in tournaments on the Asian continent, so all things considered Ramanathan has to be favored here. Ramkumar Ramanathan is love, Ramkumar Ramanathan is life. A coin toss match-up between contrasting players. While Golubev is mostly known for his wasted potential, Kravchuk is a hardworking and humble professional who is making small steps every year and might be one of those players who reaches the top 100 for the first time in his thirties. The first section is immediately a hard one to predict. The winner of Vanni – Evans might play Luke Saville next, the man who last year came back from two sets down and saved a match point to beat Vanni in the final qualifying round of Wimbledon. In the other half seventeenth seed Bjorn Fratangelo is a dangerous candidate, who faces Frank Dancevic in the first round. The third section is headed by Tim Smyczek, who had a legendary Australian Open run last year, nearly beating Rafael Nadal in the second round. Only after five sets, 6-2 3-6 6-7(2) 6-3 7-5, did the 14-time Grand Slam champion prevail. Smyczek stole the hearts of tennis fans worldwide even more by displaying amazing sportsmanship deep in the fifth set. Unfortunately, he couldn’t build on it tennis wise, seeing his ranking slip considerably throughout 2015 and dropping out of the top 100. Him and Aslan Karatsev are the favorites in this section. Karatsev qualified into Qatar and nearly beat world #66 Robin Haase in the first round, 6-5 6-1 7-5. The fourth section should be decided between the seeds, Alejandro Falla and Thomas Fabbiano. Fabbiano had a dream run at Chennai, beating world #38 Gilles Muller in the second round as a qualifier, before losing 6-4 7-5 to #19 Benoit Paire. 32-year-old veteran and former top 50 player Falla has played seven Australian Open main draws, but had a poor 2015 and dropped out of the top 100. He started 2016 in excellent fashion, however, reaching the final of the Noumea Challenger, where he lost in three sets to #47 Adrian Mannarino. To qualify from this quarter: (1) Vanni, Gerasimov, Karatsev and (4) Falla. The first section is likely to be decided in the second round between Jan-Lennard Struff and Radek Stepanek. Stepanek is 37, but feels refreshed after putting last year’s injury struggles behind him and has to be given a slight edge over Struff, who doesn’t seem able to make the step to regular ATP tennis. Stepanek hammered world #76 Dusan Lajovic in the first round of Brisbane before losing against #19 Bernard Tomic in a spectacular encounter: 7-6(6) 4-6 7-6(4). The second section features Ramanathan, but I don’t think he will be able to carry his Chennai form over to Australia. This leaves the volatile Lukas Lacko as the favorite on paper, but my pick is Marius Copil. Copil qualified last year as well and beat Pablo Andujar in the first round, before losing to Stan Wawrinka in the second. Marsel Ilhan heads the third section, but has a tough opening round against Aleksandr Nedovyesov. Ryan Harrison is the other seed in this section and someone who makes it impossible to predict what he is going to do. Young Australian Bradley Mousley might make a big run here and beat Harrison, but I suspect Ilhan will be too much for him. The final section is absolutely stacked and practically impossible to predict. Among the seeds Go Soeda and Jared Donaldson there are also Maximilian Marterer, Alexander Kudryavtsev, Peter Gojowczyk and Frances Tiafoe who all could very well qualify. It’s anyone’s guess. To qualify from this quarter: Stepanek, Copil, (7) Ilhan and (21) Donaldson. He is the talk of the town currently, 18-year-old Taylor Fritz. And with good reason, he is taking the tennis world by storm with spectacular results on the Challenger tour, most recently winning the Happy Valley Challenger to start the year. He might face the top seed in this section in the second round, which will be quite the clash of generations, as Michael Berrer is 35 and turned pro when Fritz was only 1. Other players here are Mischa Zverev, Andrea Arnaboldi and Norbert Gombos, but I am riding the Fritz train. The second section is relatively weak outside of the two seeds, Radu Albot and Daniel Brands. On these slower outdoor courts you have to give an edge to Albot, but it isn’t a big one. It would be a surprise if one of the other players qualifies. The third section is likely to be heading towards a generational clash of Frenchman in the final round. 24-year-old Pierre-Hugues Herbert would be up against 32-year-old Edouard Roger-Vasselin. While Herbert is on the way up, Roger-Vasselin is on the way down, so it would be a must win for Herbert if he wants to make a push towards the top 100, something that really has to happen at his age. He had a very short stay last year, but dropped off again very fast. The fourth section is another one of those hard to predict sections. Seeds Yuichi Sugita and Dennis Novikov have just as big of a chance as unseeded Ante Pavic, Farrukh Dustov and James Ward. As I said regarding one of the previous sections, it’s anyone’s guess. To qualify from this quarter: Fritz, (10) Albot, Herbert and Ward. Headed by Tatsuma Ito, the first section also features veteran Brazilian Andre Ghem, who faces fellow veteran Adrian Menendez-Maceiras in the first round. Ito doesn’t have an easy first round draw himself either, going up against Marton Fucsovics. Fucsovics had a good start of the year, reaching the semi-final of Happy Valley, while Ito got hammered 6-3 6-2 by Chiudinelli in the first round of Bangkok, so Fucsovics is my pick to beat Ito and go on to qualify as well. This might be an excellent opportunity for my countryman Igor Sijsling to start off the year on a good note, having suffered through a disastrous 2015. The top seed in this section is Kimmer Coppejans, but he hasn’t shown good form in a while and might be ripe for the picking. Karen Khachanov and Grega Zemlja face off in the first round and are the two other candidates to qualify. The third section is headed by crowd favorite Dustin Brown. He is his own biggest opponent when it comes down to it, but his draw is comfortable. He should only be threatened by the winner of Golubev – Kravchuk in the final round of qualifying. And to close it off the final section, headed by John-Patrick Smith. A big chance for the Australian to qualify, being placed in a fairly weak section. His fellow seed Elias Ymer is his biggest and perhaps only threat. The 19-year-old Swede has been on a bad run lately, but can find confidence in knowing that he managed to qualify into all four Grand Slams last year. To qualify from this quarter: Fucsovics, (28) Sijsling, (15) Brown and (16) Smith. Posted in: ATP, International Tennis Hall of Fame, Newport. Tagged: 2015, atp, international tennis hall of fame, mens, Newport, Steve Johnson, tennis, Tommy Haas, tournament, us, usc. NEWPORT, R.I., March 26, 2015 – ATP World Tour veteran and former world No. 2 Tommy Haas will compete in the Hall of Fame Tennis Championships in Newport, R.I. this summer. Joining Haas in the player field will be American Steve Johnson, a two-time NCAA singles champion who has established himself well inside the world top-50 ranked players in just two seasons on tour. The Hall of Fame Tennis Championships will be held July 11 – 19 on the grass courts at the International Tennis Hall of Fame. It is the first stop on the U.S. summer swing for pro tennis, and the only ATP World Tour tournament played in New England. Tommy Haas has been one of the top players on the ATP World Tour since late 1996. Over the span of his career, he has won 15 titles and was ranked world No. 2. In addition, he won the Olympic Silver Medal in 2000. He has made it to the quarterfinals of all four Grand Slam tournaments, and he advanced to the semifinals at the Australian Open three times and Wimbledon once. Over the span of his career, Haas has made a successful comeback from significant injuries on multiple occasions with exceptional results. After reaching a career high ranking of world No. 2 in May 2002, he missed the entire following season, and then steadily climbed back in the rankings, returning to world top-10 in 2007. He again missed more than a year of competition in 2010 and 2011, returning to reach world No. 11 in 2013. Haas has been out this season due to a shoulder injury, but is training to make a comeback before Newport. Steve Johnson is currently ranked world No. 43 and is the No. 3 American player. He was the NCAA Singles Champion in 2011 and 2012, when playing for the University of Southern California. He has posted consistently strong results in his first two years on the ATP World Tour. He reached a career high of world No. 37 at the end of the season last year, a result of having advanced to five quarterfinals, as well as the semifinal at Delray Beach. This season, Johnson has been a quarterfinalist at Auckland, Memphis, and Delray Beach. He advanced to the third round at the Australian Open before falling to then world No. 5 Kei Nishikori in four sets. Additional players for the tournament will be announced in the coming weeks. The tournament has a history of attracting up and coming stars as well as veteran players known to be grass court aficionados. Champions in recent years have included Lleyton Hewitt, Nicolas Mahut, and John Isner. Posted in: ATP, ATP Challenger, Chris De Waard, USTA, USTA Pro Circuit. Tagged: 2015 ATP Challenger Tour, 2015 ATP Challenger Tour Recap, atp, atp challenger, atp challenger tour, Bucaramanga Challenger, challenger, Daniel Gimeno-Traver, Gastao Elias, Hong Kong Challenger, Jared Donaldson, Kyle Edmund, maui challenger, mens, Michael Shabaz, Nicolas Meister, ryan sweeting, tennis, usta, usta pro circuit, wayne odesnik, Yoshihito Nishioka. A lot of people were interested to see how Ryan Sweeting’s comeback at Challenger level would play out, but he clearly wasn’t ready to be competitive just yet, losing 6-3 6-0 to qualifier Nicolas Meister in the first round. Meister, however, would proceed to profit hugely from all seeds in the top half going out, making it all the way to the final without facing one. Meister beat fellow qualifier Takanyi Garanganga, who took out top seed Denis Kudla, in the quarterfinal and James McGee in the semi-final. In the bottom half Ryan Harrison went through yet another disappointing loss, falling to Dennis Novikov in the first round. Jared Donaldson went on a great run, taking out second seed Bradley Klahn in the semi-final to reach the final without dropping a set. In the final Meister wasn’t a match for him either and got easily dispatched by Donaldson, outside of a small hiccup when he went up a double break in the second. Donaldson took down his first ever Challenger title after a 6-1 6-4 victory. Donaldson is now ranked inside of the top 200 for the first time, rising 73 spots to #178. Meister posts a new career high ranking just outside of the top 300 at #302. The tournament started off with a miracle that sent purists into a state of delight, as Enrico Becuzzi and Paolo Lorenzi entered the doubles draw as alternates, getting paired to Sam Barnett and Kevin Kim in the first round. Becuzzi and Barnett are the two most famous amateur players trying to make it as professionals, but as in their singles match two years ago, Becuzzi triumphed here as well, 6-1 6-4. In the second round they fell 6-1 6-2 to Martin Cuevas/Guido Pella. Another tanking controversy occured with Andre Ghem and Gerard Melzer, who blatantly gave away their doubles match in a 6-2 6-0 loss. In the singles draw Lorenzi got upset by Gerald Melzer in the second round, 6-4 3-6 6-3. Profiting from Lorenzi going out was Gastao Elias, who beat Melzer in the next round and went on to reach the final after beating Jordi Samper-Montana in the semi-final. Samper-Montana beat Kevin Kim in the first round, who was playing on a presumably bought wild card due to pairing up in doubles with the wealthy Barnett, considering the 36 year old Kim is unranked and has been effectively retired since 2012. In the bottom half #7 seed Daniel Gimeno-Traver annihilated #2 seed Victor Estrella-Burgos 6-0 6-4 in the quarterfinal, after which he beat Facundo Bagnis 6-4 6-7(5) 6-3 for a place in the final against Elias. Another long three set match followed, with Gimeno-Traver once again coming out on top, 6-3 1-6 7-5. With that result Gimeno-Traver recaptured a spot inside of the top 100, rising 21 spots to #89. Elias rose 17 spots to #126. Quite remarkably not a single seed in the top half survived the first round. Top seed Ricardas Berankis fell to Saketh Myneni, #4 seed Jimmy Wang to Di Wu, #6 seed Yuichi Sugita to Matthew Ebden and #8 seed Hiroki Moriya to Niels Desein. None of them could really build on the upset, as the semi-finalists were Kyle Edmund and Yoshihito Nishioka. Edmund won their match 7-6(2) 6-0. In the bottom half #2 seed Tatsuma Ito did live up to his seeding, beating Hyeon Chung 6-4 6-0 for a place in the final. Both men didn’t drop a set on their way to the final, but Edmund clearly was the better player, comfortably beating Ito 6-1 6-2. Edmund rose to a career high ranking of #148, rising 44 spots. Ito marginally improved with three spots, landing at #86. Posted in: ATP, Australian Open, Steen Kirby. Tagged: 2015 ATP Tour, 2015 Aussie Open, 2015 Australian Open, 2015 Australian Open Men's, 2015 Australian Open Men's Week 1, 2015 Australian Open Predictions, 2015 Australian Open Week 1, 2015 Australian Open Week 1 Recap, Andreas Seppi, Andy Murray, AO 2015, atp, ATP 2015, atp tour, ATP World Tour, Aus Open, Aussie Open, Aussie Open Predictions, Aussie Open Preview, Aussie pen 2015, australian open, Australian Open 2015, Australian Open 2015 Predictions, Australian Open Men's, Australian Open Men's Week 1, Australian Open Mens Predictions, Australian Open Week 1, benjamin becker, bernard tomic, david ferrer, feliciano lopez, gael monfils, gilles muller, Grigor Dimitrov, Guillermo Garcia-Lopez, Kei Nishikori, Kevin Anderson, Lucas Pouille, Marcos Baghdatis, melbourne, men's tennis, mens, milos raonic, Nick Kyrgios, novak djokovic, picks, predictions, preview, rafael nadal, roger federer, Stan Wawrinka, tennis, Thanasi Kokkinakis, tim smyczek, tomas berdych, week 2. It’s been an exciting week at the Aussie Open on the men’s side. Many of the names we expected to see in the second week like Novak Djokovic and Stan Wawrinka are still very much in it to win it, while Roger Federer is the biggest name to already have packed his bags in Melbourne. The round of 16 onward will feature competition between the top tier players and a group of rising challengers looking to topple them. Here is a look at the round of 16 matchups which will begin tonight if you’re in the USA. Novak has had little in the way of slip ups through his first week of matches, cruising past Aljaz Bedene, Andrey Kuznetsov and Fernando Verdasco without dropping a set. Verdasco brought some of his best tennis to the table at times in their third round encounter but even still it wasn’t consistent enough to seriously threaten the world number one. Muller continues his fantastic comeback results, as he is one of the great storylines of the AO this year. The big serving Luxembourger has had his serve and volley game clicking all week. He beat Pablo Carreno Busta in three sets, dominated proceedings against the seeded Roberto Bautista Agut and beat him in four sets, then kept a steady hand against fellow big server John Isner and took him out in straights, as a frustrated Isner could barely get a racquet on Muller’s serve at times. The pair have never met before, though both are veteran players, and trouble could lurk for Novak given he can struggle against big servers. Muller’s game is rather limited but in order to beat him, Novak will need to keep his focus the entire match, as a momentary slip up for a break of serve, or in a tiebreak could spell ruin for him. Novak had trouble with Verdasco’s serve when he was pumping it in at upwards of 130 MPH, and Muller is going to bring the hammer here, but I still think the world number one will find a way to win, perhaps dropping his first set of the tournament in this one. It should come as no surprise to see Raonic in the second week. The Canadian number one has looked impenetrable on serve in his first trio of matches and has avoided even the slightest bit of pressure. The Canadian number one put a chokehold on Ilya Marchenko, Donald Young, and surprise third round participant Benjamin Becker, never dropping a set, and never giving up more than three points to his opponent in any of the three tiebreak sets he has played this week. The revitalized veteran Becker took out the seeded Julian Benneteau, and then clawed his way back into the match from two sets against Lleyton Hewitt on home soil to win in five sets, a shocking result that was an enjoyable match to watch. Lopez, on the other hand, has to have surprised even himself to make the second week. He came into the tournament in an awful slump, and he’s back playing top 15 caliber tennis after the first week. It wasn’t easy for the Spaniard though, he was tested by Denis Kudla who was up 2 sets to 1 at one point, and later had match points late in the fifth set. The clean ball striking of Kudla produced some incredible highlights but Lopez’s lefty serve and touch at the net eventually won the day. He overcame fatigue to win that round 1 match 10-8 in the 5th set. Against Adrian Mannarino in round 2 he was down 2 sets to love but he clawed back and won the third set tiebreak, after which the wheels came off for Mannarino and he would retire midway through the 4th set. He put up his best showing of the week against Jerzy Janowicz in round 3. The Pole came into the match in good form but Lopez slammed the door on him, winning in three sets with a pair of tiebreak wins, as he had that little bit of edge to put him through. Janowicz had reached the third round by taking out Gael Monfils in five sets, as the acrobatic Frenchman played two entertaining five set matches this week, coming back from 2 sets and a break down against Lucas Pouille, his countryman, and then falling to Janowicz. Lopez beat Raonic last year in Canada on hard courts, and he’ll at least have a chance in this one after how well he played against Janowicz, but I personally don’t see how Raonic will lose this one with how well he’s been playing. His serve is like Thor’s hammer at the moment and Lopez is going to face more pressure on his. It should be a close match but assuming Raonic takes advantage of the opportunities that arise, he should pull through. Wawrinka remains one of the favorites to take the title, yet again, this year. He controlled proceedings against Marsel Ilhan and Marius Copil through the first two rounds, not dropping a set, then fought off a good effort from fleet footed veteran Jarkko Nieminen without dropping a set. He hasn’t been fully perfect, but like Djokovic, that hasn’t been necessary for him. Wawrinka hasn’t faced anyone that has put serious pressure on him, and he’s been able to play matches at a lower intensity than his peak so he’s rested going into the business end of the tournament. Garcia-Lopez took out Peter Gojowczyk in a fourth set retirement, then didn’t drop a set against Alejandro Gonzalez (who vanquished Fabio Fognini in round 1), and Vasek Pospisil, who was carrying an injury into the match. This was always going to be an open section, and GGL was the one who took advantage, even though he entered the tournament in pedestrian form. This is the second time in his career he’s reached the second week of a Slam. Wawrinka was upset by GGL at the French Open last year, and this is chance for revenge. Given this is the AO on hard courts, I expect Wawrinka to dominate and win this match comfortably. GGL is a talented shotmaker but I don’t see him having the consistency and the stamina to keep up with Wawrinka here, the Swiss doesn’t appear to be messing around right now. Nishikori faced quality opposition in the first week, and pulled through against them, as he continued to play like a top 10 player. The Japanese number one took out Nicolas Almagro in straights, Ivan Dodig in four sets, and Steve Johnson in four sets to solidify himself as one of the last 16 men in the tournament. Dodig and Johnson raised their levels of play for a set or so, but simply couldn’t maintain against Nishikori, who was always able to refocus and start firing his shots on all cylinders again. Credit goes to Stevie J for reaching the third round, as he took out Kyle Edmund and Santiago Giraldo. Ferrer has had momentary lapses in all of his matches so far, but long term he sorted himself out and got through in four sets. He beat Thomaz Bellucci, Sergiy Stakhovsky and Gilles Simon in this fashion. He dropped the first set against both Bellucci and Stakhovsky, and the third set, from 2 sets to love up, against Simon, but none of the challengers could maintain their level against Ferrer’s tenacity. Nishikori won this top tier matchup four times last year, as I discussed in my week 1 preview, and I expect four or five sets in this meeting. The path to victory for Ferrer here is narrow and will involve simply surviving Nishikori’s shotmaking through the first few frames and getting the match deep into a fourth or fifth set where Ferrer’s steadiness and fitness should help him out. Nishikori on the other hand needs to avoid going for too much, and overhitting against Ferrer. The winner of this match will be the one who takes control of the rhythm and flow and plays at their pace and style. Berdych is another top player who reached the second week without much of a sweat, under the radar he cruised over Alejandro Falla, Jurgen Melzer, and Viktor Troicki without dropping a set, as his game is clicking and he’s been dominant in the rallies in every match. Tomic appears to be enjoying himself and staying focused in his home slam. The young Aussie beat Tobias Kamke and Philipp Kohlschreiber in 4 sets, then his big serving countryman Sam Groth in 3 sets to reach week 2. Tomic played poorly against Kamke for a good bit of the match, spewing errors off his racquet, and he was flummoxed by the shots that Kohli was throwing at him at times in that match, but perhaps it bodes well for him that he found a way to win those matches, along with fight off the Groth serve that had vexed both Filip Krajinovic and another young Aussie, Thanasi Kokkinakis, in the first two rounds. Kokkinakis played a thrilling five setter against Ernests Gulbis to reach the second round, He bageled Gulbis in set 2, then got breadsticked himself in set 3, saved match points in set 4, and finally won it 8-6 with a late break in set 5, as his intensity and performance rose to the occasion when the pressure was on. Berdych is appropriately favored in this match, and he is likely to win it given he’s 7-1 in 2015 and hasn’t dropped a set in any of this wins this season. That said Tomic will have the home support, and he’s doing well when under pressure right now, so he should at least take a set, and perhaps if Berdych has a mental lapse, he can shock the Aussie tennis world and reach the last 8. Berdych in 4 sets is the safe pick though. Nadal has had a strange odyssey in week 1, in the first and third rounds, he was in control and bossed around both Mikhail Youzhny and Dudi Sela without dropping a set, but in round 2, he was ill, and seemingly dizzy with stomach and fever problems and got pushed to the brink against American journeyman Tim Smyczek, a stalwart of the USTA Pro Circuit. Smyczek looked like a pushover in the first frame, and the match appeared routine but he stormed back to take the second set, and then the third set in a tiebreak to go up two sets to one. Nadal, who was clearly struggling and playing poorly at this point managed to raise his level enough to take the fourth set, and then they held serve in the fifth as Nadal was selectively retrieving balls, while Smyczek was throwing everything he had left in the tank at the Spanish number one. Nadal would eventually win the day 7-5 in the fifth, while Smyczek was complimented for his sportsmanship, allowing Rafa to replay a point due to fan interference 6-5 30-0 up, serving, in the fifth set. Tim is one of the nicest players on tour and he’s fun to watch, so hopefully this great effort, where he truly looked to be enjoying himself on court, bodes well for him having further success in 2015, I’d quite enjoy to see him do well at the ATP level. Anderson has surprisingly dominated down under, and he’s another one of the big servers through to the second week, he beat Diego Sebastian Schwartzman in 4 sets, Ricardas Berankis in 3 sets, and Richard Gasquet in 3 sets to reach week 2. Gasquet had set points and was up breaks in multiple sets but he wilted under relentless pressure from Anderson. Nadal should win this, he’s simply the better player, but after the situation against Smyczek there are still serious questions about Rafa’s condition right now. Over time Nadal has played himself into form in matches, but against Anderson he will finally be facing an opponent who should push sets deep, and consistently be able to hold his serve, giving Nadal less margin for error if his form slips and he gets broken on serve. The key for Anderson will be to get off to a fast start, and in a perfect world, get two sets to love up before Nadal can find himself, but it’s a bold guess to say Anderson will do that, so Nadal in 4 sets is the pick, Anderson probably salvages a tiebreak at some point. Murray is playing his best tennis since his back surgery at the end of 2013. The UK number one rolled over Yuki Bhambri, Marinko Matosevic, and Joao Sousa without dropping a set, as he was simply too strong for players of that caliber. 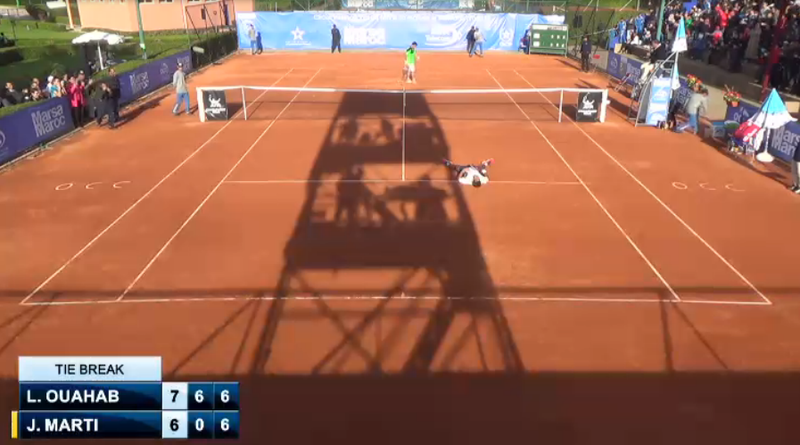 Bhambri and Sousa both pushed him for a set and clearly put in effort but the result was never in doubt. Dimitrov has faced some headaches in his path the second week, Dustin Brown was no trouble at all in round 1, as he won that contest in straights, but Lukas Lacko pushed him to four sets, and Marcos Baghdatis danced with him for a full five sets in rounds 2 and 3. The match against Lacko was relatively routine except for a long second set tiebreak that Lacko won 12-10 after saving multiple set points, the Slovak would fade thereafter however. Against an aggressive Baghdatis, spirited by his rowdy fans, Dimitrov was looking for answers for a large portion of the match. He dropped both the first and third set against Baghdatis, who was cracking winners and moving up the court on both wings, taking his chances when possible. The former AO finalist showed shades of his former self but he doesn’t have as much stamina and consistency as he used to, and eventually Dimitrov sorted himself out and got through in five sets 6-3 in the fifth as Baghdatis last real chance to win the match was in the fourth set, that he also lost 6-3. This was another classic Baghdatis slam match regardless and was a joy to watch if you like attacking tennis. Dimitrov was pushed on his back foot and forced to moonball at times. It should be noted that Baggy made the third round by upsetting a listless David Goffin in round 2, after winning in 5 sets against Teymuraz Gabashvili. The match between Murray and Dimitrov is one of my two most anticipated clashes of the fourth round (the other is Ferrer vs. Nishikori). These are two talented and motivated stars who will be dueling just to make the quarterfinals. This should be a physically grueling contest, and with Dimitrov coming off a taxing five setter, while Murray has sprinting all over the court against his first three opponents, the advantage in physicality and stamina goes to Murray, one of the fittest players in the sport. Dimitrov has raw shotmaking ability and he can stretch Murray using angles, bringing him forward and so forth, but I feel like Murray will wear him down and win this in four or five sets, taking advantage of perhaps just a lone break of serve in a set, or a minibreak in a tiebreak to get himself through. The level of these two players is very close, but I’m very encouraged by what I’ve seen from Murray this tournament, and less so by Dimitrov. Two players that myself, and many others did not expect to be still in it at this stage in the tournament. Kyrgios showed signs of injury in his round one win in five sets over Federico Delbonis, but got progressively better against Ivo Karlovic and Malek Jaziri. Kyrgios went from hunched over and barely holding against Delbonis to ripping serves and smashing forehands against Karlovic and Jaziri. Karlovic who before the match was serving lights out, didn’t play as well as expected and Kyrgios was in control most of the contest. Jaziri was coming off of a four setter with Mikhail Kukushkin and a five setter with Edouard Roger-Vasselin and he didn’t have near the fitness level to compete. Seppi, one of the stories of the tournament who is off to a roaring start in 2015, having already done better with his results than in all of 2014, won the essential fifth set against Denis Istomin, in a match that was guaranteed to go five like an Italian opera, and then won in 4 sets against Jeremy Chardy. All that was good, but then it went from a good tournament to an amazing one for Seppi, who is perhaps on his way to reclaiming the Italian number one designation from a slumping Fabio Fognini. Seppi shocked Roger Federer 6-4 7-6 4-6 7-6 in what is certain to be one of the biggest upsets of the 2015 season. Federer played very poorly and had limited depth on his shots, he almost appeared limp wristed at times and was simply massaging the ball into play while Seppi was going for the lines, and connecting on his shots, mixing in offense, defense and good old fashioned counterpunching. Most people had Seppi as good as done by the time it went to a fourth set tiebreak, but he hung in it, and hit an incredible, once in a lifetime passing shot past Federer on a match point to minibreak and earn himself the greatest win in his career. Seppi redlining against an inhibited Federer was enjoyable to watch and he’s the most surprising name to have reached the second week. Kyrgios beat Seppi at the USO last year, but that said, who knows if Kyrgios is fully 100%, though he looks fine at this point, and this is an inspired tenacious Seppi, who is well out playing his 2014 form. A lot of people don’t see this being close, but I feel Seppi actually has a shot if he can deal with Kyrgios serve and make him rally, he’s still the underdog but he’s thrived in that situation with the crowd against him and I’m picking the upset and putting Seppi through to the quarterfinals. The crowd will be loving this match, as Kyrgios is incredibly popular in his home country, while Seppi is a likable player. Djokovic could be tested with how well Raonic is playing, but even if it goes five, Novak has the experience and has dealt with a lot more of these massive matches. I’m comfortable at this point going with Wawrinka over Ferrer or Nishikori, as much as I’m tempted to revise my week 1 pick and put Nishikori through, I’m going to stick to my guns and have Ferrer reaching the quarters, either way Stan seems a cut above the pair right now. My reasoning for Berdych over Nadal in my original predictions was that I wasn’t sure if Nadal was going to be really struggling coming into this, though he was ill against Smyczek, you can’t really classify him as “struggling” right now and given the H2H, even with Berdych looking like a tough customer in the first week, Nadal now has to be the favorite to reach the semis from this section. He’s eliminated enough doubt in my mind to put him that far through at this point. I would go with Murray over Kyrgios or Seppi, Kyrgios would perhaps be a tougher opponent given it would mean a hostile crowd and a Laver night session, not to mention his aggression and skill set, but Murray is playing really well right now, and I just don’t see him losing to either of those players, especially Seppi. The competition is getting tougher but I don’t see that scaring Murray. Given the form of both players, and the result of previous contests, I can almost guarantee that Djokovic vs. Wawrinka will be a Laver night session five setter, and go over four hours. Both players will need to give 110% as neither appears to be giving much away in the first week, they both have their weaknesses and showing no mercy is going to be essential. Novak still seems like the better “finisher” of the two, and that’s why I have him through as much as I want to believe Wawrinka can recapture the magic of last year and win again. This probably ends up 7-5 or 9-7 in the fifth set. For what it’s worth I’d have Djokovic through to the final against any other possible opponent here, and Wawrinka likewise, as they are the two players most likely to actually win the title in my opinion. Unless they wear each other out, the tournament winner should come from the top half of the draw. I’m comfortable going with Murray over Nadal, or any other possible opponent left, even more so than I was at the start of the tournament. He’s played up to the level I thought would be needed for him to get through to the final, and he avoids Federer now, this is a slightly easier path than I expected and Murray should get himself to another slam final. Sticking with my original pick, not having Federer in the final means it’s still a valid proposition, and as much as I personally want Murray to win this to silence the critics and prove he’s back, Djokovic or Wawrinka over Murray has to be the pick here. Djokovic on hard court at the AO has generally shown himself to be superior and the only real chance for Murray here is if he plays lights out and Novak is playing on a half full tank going into the match because Wawrinka (or Nishikori/Raonic etc.) has wounded him. Posted in: ATP, ATP Challenger, Casablanca, Chris De Waard. Tagged: atp, Casablanca, challenger, mens, Morocco, tennis. Where the tournaments on the main tour last week had a lot of surprises and qualifiers making a deep run, the Casablanca Challenger followed a similar pattern. After the second round only one seed was left in the tournament, #3 Adrian Ungur. And that also didn’t last long, as he got blasted off the court by wild card Lamine Ouahab, 6-2 6-2. Ouahab can pretty much be described by the video below, where he hits an extremely casual half volley. As a really talented juniors player he was #4 in the world and beat Rafael Nadal in straight sets at Wimbledon, but after that he became an out of shape journeyman, leaving people to wonder what could have been. #1 seed Albert Montanes lost 6-3 7-5 to qualifier Guillaume Rufin, while #2 seed Daniel Gimeno-Traver didn’t even get that far, losing 6-4 6-7(4) 6-4 in the first round to another qualifier, Laslo Djere. This set us up for a very special semi-final line-up, featuring the two qualifiers Rufin and Djere, wild card Ouahab and a player who entered the tournament on a protected ranking, Javier Marti. Rufin managed to push Ouahab around for one set before running out of steam, with Ouahab eventually prevailing 3-6 6-2 6-1. Marti easily beat Djere 6-1 6-3 in the other semi-final. In the final Ouahab went off to an incredible start, going up 6-0 3-0*. After that, Marti was able to play himself into the match, violently pumping himself up with a lot of screaming after his won points. Ouahab went up 4-3 40-15*, 5-4* and eventually 6-3* in the tiebreak, but he couldn’t seem to close it out, with Marti getting back to six all. However, Ouahab squeezed out two spectacular points to close out the match and claim his first Challenger title since 2006! We can only hope this marks the beginning of a late career revival for the 30 year old, as he jumps 241 spots on the ranking, landing at #345. Marti improved 291 spots, rising to #498. The 23 year old has been struggling with injury for a long time, let’s hope he can stay healthy this time around.